WHAT YOU WILL SEE TO SAVE A LIFE! EMS-Alert™ helps first responders provide safer, faster care! 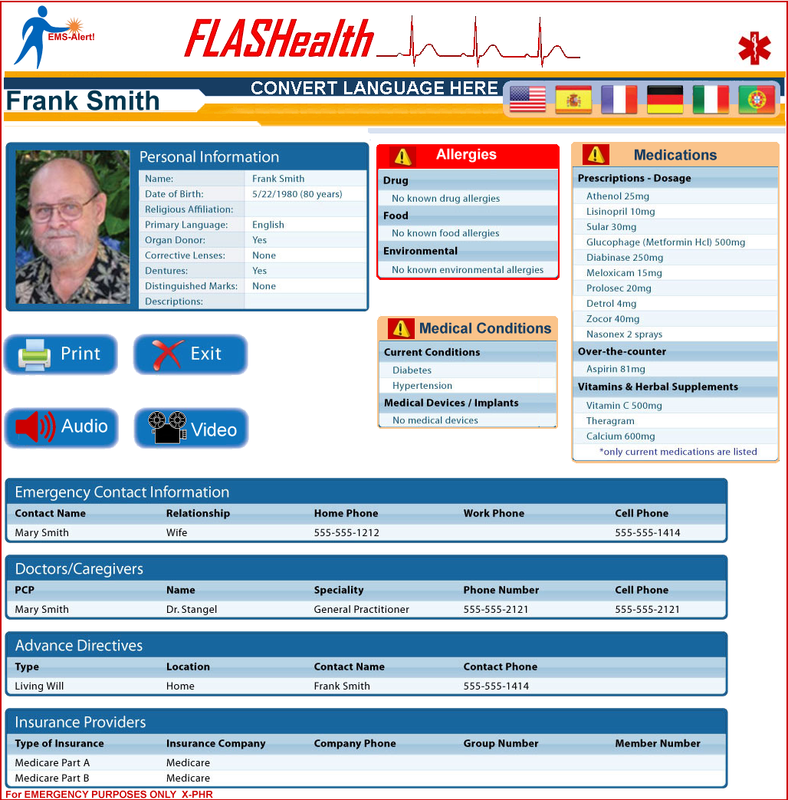 EMS-Alert™ is a USB-based Personal Health Record owned by individuals and families. When minutes count EMS-Alert™ matters. EMS-Alert™ tells you about your patient, their PCP and their emergency contacts.